Throughout the course of the past several years, the Internet has grown by leaps and bounds. No business or industry knows where the ceiling is, but one common theme is everyone wants a piece of the proverbial pie. Companies are spending upwards of $31.3 billion on Internet advertising. This figure is only expected to rise over the course of the following years. With this amount of money flowing from businesses, the hope is to capitalize on the web traffic and see a positive Return on Investment (ROI). With advertising dollars so high, where do you put your money, especially in uncertain financial times? Would you put it towards traditional mediums, such as email marketing? 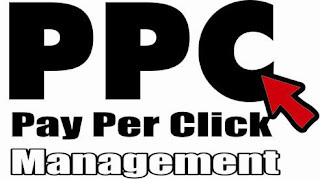 Do you use target-specific marketing or do you step out of the box and utilize pay-per-click (PPC) advertising. Although traditional marketing campaigns typically produce a continuous ROI, PPCmanagement is an ideal alternative simply due to the low cost to the publisher, the advertising networks and the advertiser. The question is now, “how do you transform your PPC management strategy into a successful advertising campaign”? A successful PPC campaign means going above and beyond a traditional campaign due to the research capabilities of your customer base. Prior to your first campaign, your customer knows what your business is about and whether or not they will buy into your business model. You brand has to stand out. It has to WOW the customer. In part, what are you doing to separate yourself from the competition. You have to look at the multiple channels in which you market your business - your website, Google + account, Twitter and Facebook page. Do your pages stand out, or do they scream your brand. Branding is one thing, but the various channels you use are another. If you are not willing to branch out, you will not be successful. You have to remember the potential reach social media has on the marketplace. Facebook has approximately 800 million users; Twitter has 100 million users and Google + has approximately 10 million users. With those types of numbers, a successful PPC management strategy must include multichannel marketing. Businesses have to start somewhere. With the success, companies that offer hyper-local deals are cashing in, and the small business associated are reaping the benefits. Local marketing allows you to get the word out and eventually expand your operation. 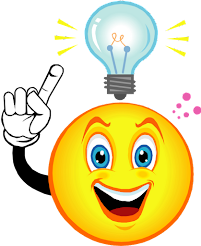 Search engines such as Yahoo!, Bing and Google even have specific search engines designed for local markets. When you consider an effective and efficient PPC strategy, you have to look beyond traditional approaches. Considering the majority of top businesses utilize PPC, you have to squeeze every drop out of your campaign. For example, do you have a mobile version of your site? The fact that mobile landing pages are the optimal destination pages verses desktop pages is no coincidence. Now is the time to refresh your mobile presence. Dig deep into the analytics of your campaign. Your strategy is only as good as you want it to be. If you don’t track the results and immediately adjust, you are only setting yourself up for failure. Finally, incorporate your customer-base in your strategy. Since you are marketing to them, get honest feedback to drive more traffic. You must remember that PPC is not a new tool, simply a method to increase your company’s ROI. When financial times are as challenging as they are today, businesses need every tool available in order to be successful. You also need every angle and think outside the traditional advertising box. Dawn Altnam lives and works in the Indianapolis area, and she enjoys following the tech and business worlds. After furthering her education, she has spent some time researching her interests and blogging of her discoveries often.